When the Great Depression struck, many baseball owners feared the worst. They expected the fans would have trouble affording tickets, and fans they did draw would not have enough for extra souvenirs or food concessions. To their surprise, many people would still come to the ballpark if only to forget about their own troubles for a while. Attendance was down in the 1930s, but none of the sixteen franchises ever folded or moved as a result of the Great Depression. While some of the games’ lasting stars said goodbye, others said hello. A new era of baseball had begun. The 1930s also saw two immortal aspects of the game arrive. The first was arrival of the All-Star Game. Originally, played in Comiskey Park in 1933, the managers and the fans selected the players. The game was thought up Chicago Tribune sports editor Arch Ward and to be a part of the celebration of Chicago’s Century of Progress Exposition. This mid-summer classic now features the best players of baseball as voted in by fans, and every team has at least one player to represent them. The American League teams’ best play against the stars of the National League, and the winning league has the “home field advantage” in that season’s World Series. The second was the Baseball Hall of Fame. It would not be until 1939 that the Hall was built, but its first five inductees would be Babe Ruth, Ty Cobb, Honus Wagner, Christy Mathewson, and Walter Johnson in 1936. The 1930s also saw its fair share of stars on the field. Babe Ruth retired from the Yankees, letting Lou Gehrig have a chance to step into the spotlight. Joe DiMaggio arrived to roam center field for the Yankees in 1935, stealing some of Gehrig's spotlight. He stood alone when Amyotrophic Lateral Sclerosis - known informally as “Lou Gehrig’s Disease” - forced him to retire at the end of the 1939 season. Gerhig’s uniform number, 4, was the first player number retired in Major Leage baseball. In the rest of the league, Jimmie Foxx dominated the decade at the plate. In 1933, Foxx hit .364 with 58 Home Runs and 168 Runs Batted In. Five years later, he was just as strong; during the 1938 season, Foxx hit .349 with 50 HRs and 175 RBIs. The 1930s also saw the introduction of a 17 year old Bob Feller, Lefty Grove, Power Hitters Hank Greenberg and Mel Ott, and a Young Ted Williams arrived in 1939. Dynasties rose and fell. 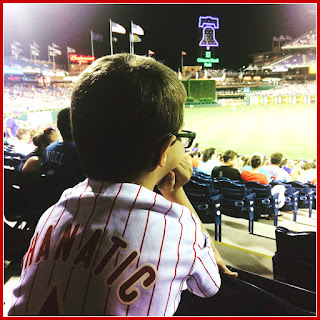 While Connie Mack and the Philadelphia Athletics started out the decade by winning two AL Pennants in a row, their back to back run of 29-30 came to a close in 1931. The “Gas House Gang” arrived in St. Louis in 1934. Led by Dizzy Dean and Leo Durocher, the Cardinals were constant rivals to the Cubs and Giants. This team helped the Cardinals win the National League pennant several times in the 1930s, along with a World Series title in 1934. Much like the 1920s, the Yankees dominated the second half of the decade. Led by manager Joe McCarthy, the Yankees won four World Series in a row to close out the 1930s. The game took a backseat while the boys of summer became “the boys overseas.” The “girls of summer” emerged with the formation of the All-American Girls Professional Baseball League. The war ended in August, 1945, during the second half of the season. Teddy “Ballgame” Williams would soon be seen patrolling Fenway; “Jolting” Joe DiMaggio would return to his rightful place in Yankee Stadium. Many others would return to the game after serving their country, though some moved on to new careers. Once the boys were back on the field, the mega-watt stars, another New York dynasty, and a new kind of player transformed the post-war game. The New York Dodgers were still in Brooklyn, the Giants were still in Manhattan, and the Yankees. In the post war era, 12 World Series were played in the city that never sleeps. With star players on each team - Mickey Mantle and Yogi Berra were the new stars for the Yankees, Dodgers pitcher Johnny Podres, and the Giants’ slugger Bobby Thompson, the three teams passed League and World Series championship pennants around the city from 1946-1959. 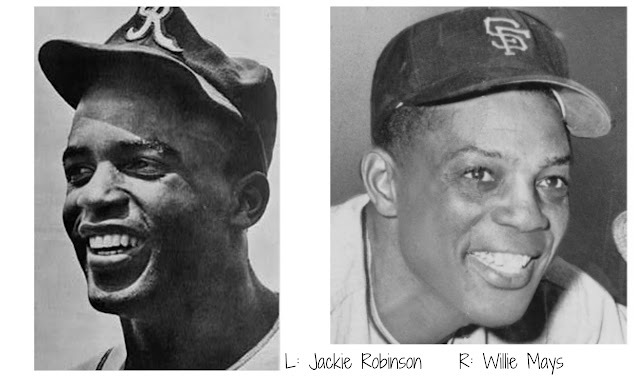 However, bigger news than their lock on the top place in the standings was their newest players: Jackie Robinson and Willie Mays. Besides breaking the color barrier, Robinson had an exceptional 10-year baseball career. He was the recipient of the inaugural MLB Rookie of the Year Award in 1947, was an All-Star for six consecutive seasons from 1949 through 1954, and won the National League Most Valuable Player Award in 1949—the first black player so honored. 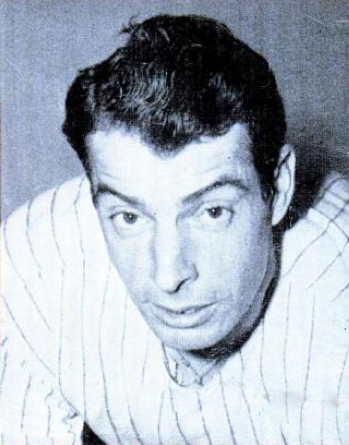 During his career, Mays also won two National League Most Valuable Player (MVP) awards and shares the record of most All-Star Games played (24) with Hank Aaron and Stan Musial. He ended his career with 660 home runs, third at the time of his retirement, and currently fifth all-time. 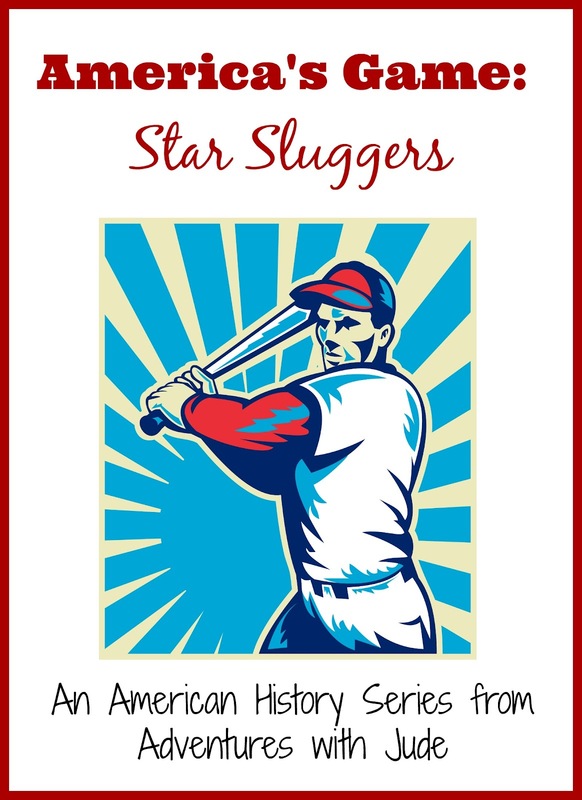 Baseball’s Golden Age brought new life to home plate, with new ways to acknowledge great players, such as annual All-Star Game and the Hall of Fame. The 40-year span was the prime for many star sluggers, both veteran and rookie. Damn Yankees, a 1955 Broadway musical, was a nod to the dominance of the New York teams. However, the league's most enduring accomplishment was the inclusions of players from all races.